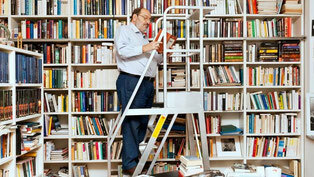 Umberto Eco " designer de service " avant l'heure. De l'importance du signe. Nous sommes pétris de signes. Dans un environnement de plus en plus confronté à la notion d'information et d'interaction (concurrentielle). Nous devons pouvoir être capable de comprendre les languages de ces signes émis pour pouvoir être apte à proposer des services qui correspondent aux attentes d'un public-cible.
" Le design ne signifie pas donner une forme à un produit plus ou moins stupide pour une industrie plus ou moins sophistiquée. Il est de façon de concevoir la vie, la politique, l'erotisme, la nourriture et même le design." These are really wonderful ideas in concerning blogging. You have touched some nice factors here. Any way keep up wrinting. Hey! Someone in my Facebook group shared this website with us so I came to give it a look. I'm definitely enjoying the information. I'm book-marking and will be tweeting this to my followers! Wonderful blog and outstanding style and design. What's Taking place i'm new to this, I stumbled upon this I have found It absolutely useful and it has helped me out loads. I am hoping to give a contribution & aid different customers like its helped me. Great job. What's Taking place i'm new to this, I stumbled upon this I have discovered It positively helpful and it has aided me out loads. I'm hoping to contribute & help other customers like its helped me. Good job. This piece of writing provides clear idea designed for the new viewers of blogging, that really how to do blogging and site-building. I am truly grateful to the owner of this web site who has shared this great piece of writing at at this time. Hi there every one, here every person is sharing these kinds of experience, thus it's fastidious to read this blog, and I used to pay a quick visit this website every day. I enjoy what you guys tend to be up too. This type of clever work and reporting! Keep up the good works guys I've added you guys to my own blogroll. Hmm it appears like your website ate my first comment (it was extremely long) so I guess I'll just sum it up what I had written and say, I'm thoroughly enjoying your blog. I too am an aspiring blog blogger but I'm still new to the whole thing. Do you have any tips for newbie blog writers? I'd definitely appreciate it. Greetings I am so thrilled I found your webpage, I really found you by mistake, while I was looking on Digg for something else, Anyhow I am here now and would just like to say thanks a lot for a remarkable post and a all round enjoyable blog (I also love the theme/design), I don't have time to go through it all at the moment but I have saved it and also included your RSS feeds, so when I have time I will be back to read much more, Please do keep up the awesome work. I was pretty pleased to find this site. I need to to thank you for your time due to this wonderful read!! I definitely savored every bit of it and i also have you book marked to look at new things in your site.